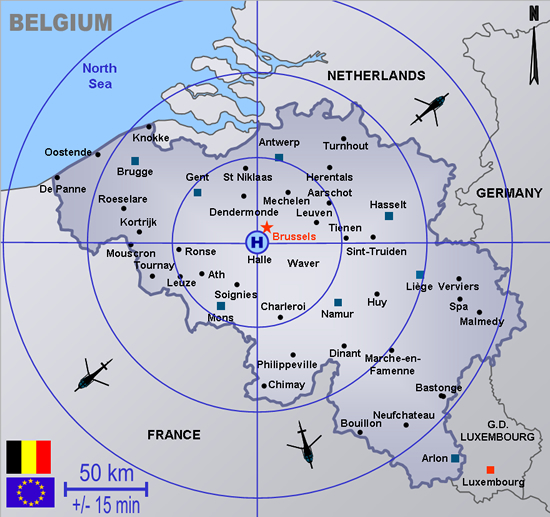 Sint-Pieters-Leeuw is situated in “Pajottenland”, in the province of Flemish Brabant. 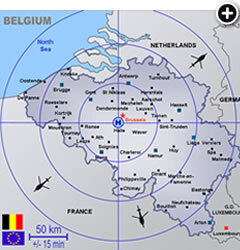 This municipality is located in the southwest of the province, between Brussels and Halle and bordering with Lennik, Dilbeek, Anderlecht, Beersel and Halle. The “land of Witse” (popular TV series). 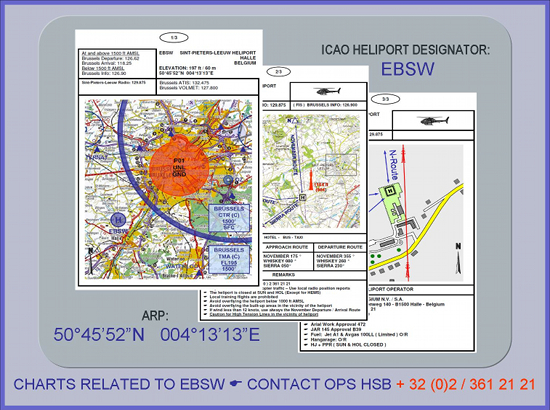 Our heliport in Sint-Pieters-Leeuw has been opened officially in 1984 and is located in the south-west area of Brussels, between Sint-Pieters-Leeuw and Halle. 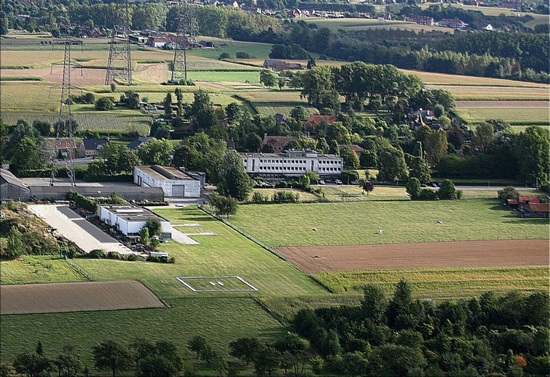 The Heliport is exploited by Heli Service Belgium N.V. who also uses it as home base for its own helicopter fleet. There are several hotels in the surroundings of our heliport. If you want transport (taxi), please contact us in due time.